I’ve started setting an alarm. There’s so much to do, I don’t like to sleep past 6:30 am. As a bonus today, Peter went fishing soon after he served coffee. To be up at 6:30 am and to have the boat to myself while I drink my coffee and watch the sun come up is what heaven will look like when I get there. We’ll be taking about 20 kilos of laundry to the lavenderia this morning. I’m trying to teach Peter how to wear one outfit for 2 to 3 days, the same outfit each day, and then deposit it into the clothes hamper. His tendency is to pull out a clean tee shirt and a clean pair of shorts every time he begins a new activity. Each one goes into a sweaty, salty, sandy, soaking pile on the floor once that activity is complete. Thus, 20 kilos of laundry for the lavenderia. The lavenderia here in Zihua charges a fortune to do laundry. Seventeen pesos per kilo vs. ten pesos per kilo in La Manzanilla. Hylda and Ismael have quite the operation. 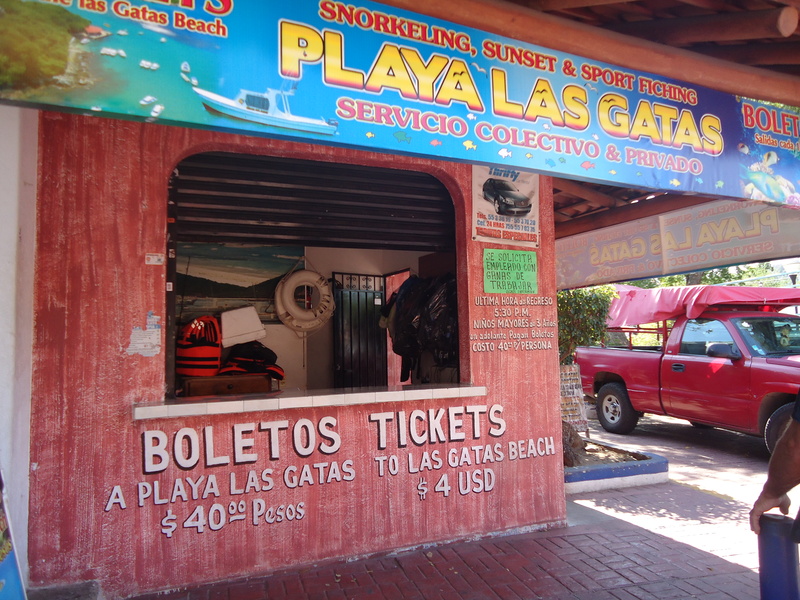 They can provide laundry, diesel, gas, snorkeling equipment, fishing adventures and who knows what else? They operate out of this window just meters from the dinghy dock. Ismael reports they work 8 days per week sun rise to sun set. Zihuatanejo, pronunced [siwataˈnexo]), or Ixtapa-Zihuatanejo, is the fourth-largest city in the Mexican state of Guerrero. It is on the Pacific Coast, about 240 km (150 miles) northwest of Acapulco, and belongs to a section of the Mexican Pacific Coast known as the Costa Grande. This town has been developed as a tourist attraction along with the modern tourist resort of Ixtapa, 5 km (3.1 mi) away. However, Zihuatanejo has kept its traditional town feel. The town is located on a well-protected bay which is popular with private boat owners during the winter months. There are two possible origins for the name Zihuatanejo. One origin might be from the P’urhépecha language meaning “water of the yellow mountain;” another possible origin might be from Nahuatl (Cihuatlán) meaning “place of women.” Cihuatlán, or “place of women,” refers to the western paradise of the Nahuatl universe, the home of the “goddess women.” According to tradition, these women arose in the afternoon to lead the sun at dusk to the realm of the dead, Mictlan, to give a dim light to the dead. 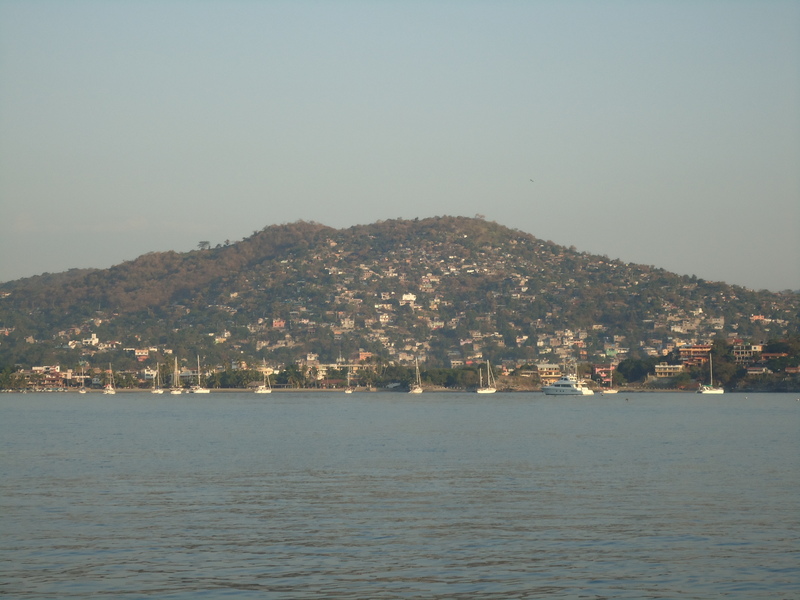 Zihuatanejo spent most of its history until recently as a sleepy fishing village. The federal government’s decision to develop the nearby resort in the 1970s has had major implications for both the city and municipality of Zihuatanejo. The area is now the third most-visited area in Mexico, after Cancún and Puerto Vallarta, and the most popular for sports fishermen. Zihuatanejo’s population jumped from 6,887 to 37,328 by the early 1990’s.